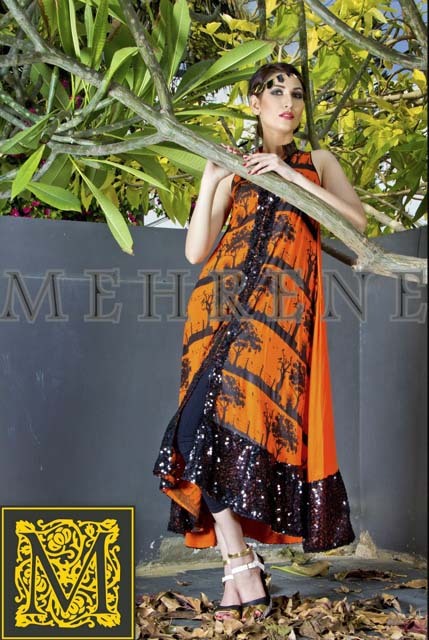 M E H R E N E has recently launched Latest spring summer Collection 2013 for Women and girl of Pakistan. 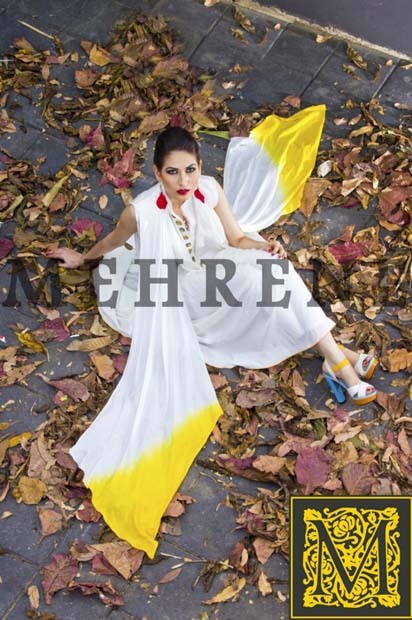 M E H R E N E is a fashion brand that has intricately woven itself…….M E H R E N E has recently launched Latest spring summer Collection 2013 for Women and girl of Pakistan. 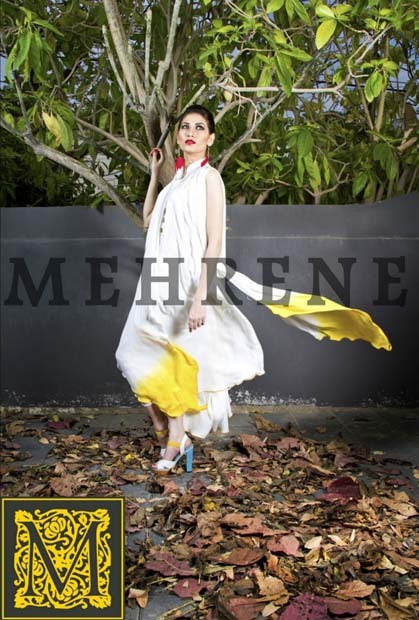 M E H R E N E is a fashion brand that has intricately woven itself into all aspects of life, M E H R E N E is now a renowned international brand befitting an aspirational life-style.Printed shirts are there that are been fused and combined together with trousers and churidaar pajamas. 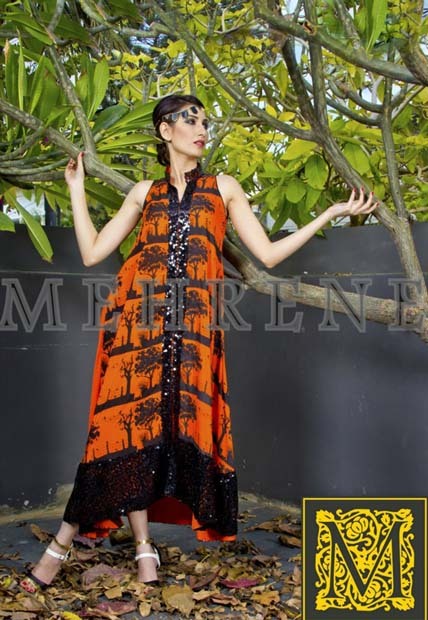 Mehrene is a Pakistan based womenswear brand. 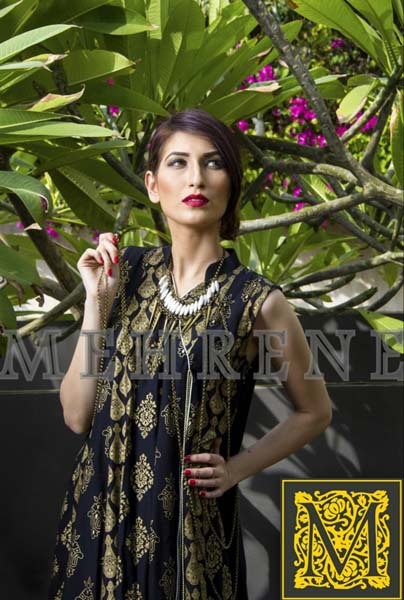 The signature style for Mehrene’s clientele is hip, trendy and extremely stylish pret wear for the young woman of today. Mehrene’s Pret helps one find their own style by experimenting new cuts and variations in basic design elements. Our most important aim is to help women dress for their body type perfectly by offering a range of different smart casual wear. To dress in style does not mean to carry out bizarre pieces of fashion, rather be able to carry off what’s best for your own identity confidently. Quality over quantity: IS the first fashion rule. You make a statement with Mehrene’s innovative pret wear.